Are You Looking To Get Happier But Lost On Where To Start? If you are unhappy and not sure why, read my mini-ebook to find 10 simple tips that could lead you to a happier daily life. Tips & tricks that I live by to get the most out of my life every. single. day. 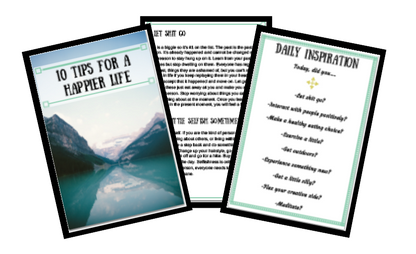 Also includes a Daily Inspiration printout! Just jot down your name & email to gain access to my free mini-ebook on living a happier life. Success! Now check your email to download the mini-ebook. I won't spam you. Unsubscribe at any time. © Copyright 2019 The Confident Rebel. All rights reserved.